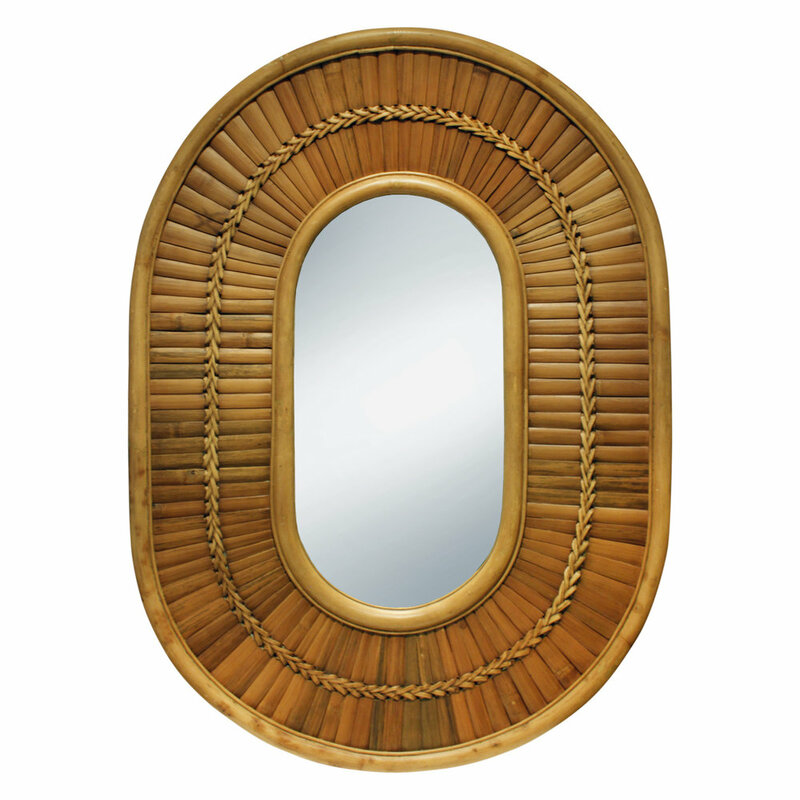 Large rectangular mirror with brass frame by Harvey Probber, American 1950's. 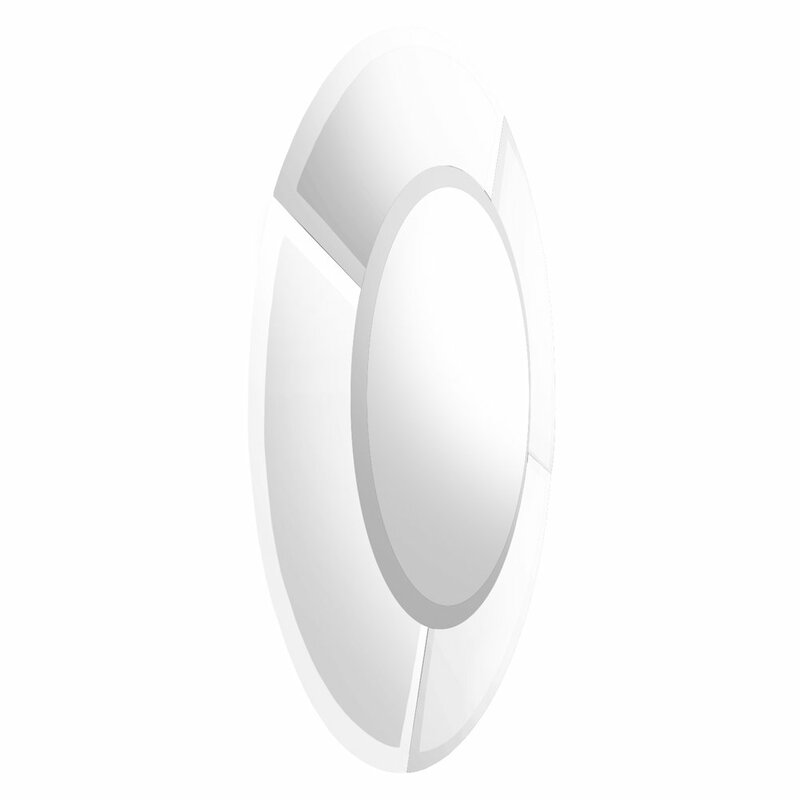 Round wall hanging mirror with concentric rings in tessellated horn with bronze accents by Karl Springer, American 1970's. 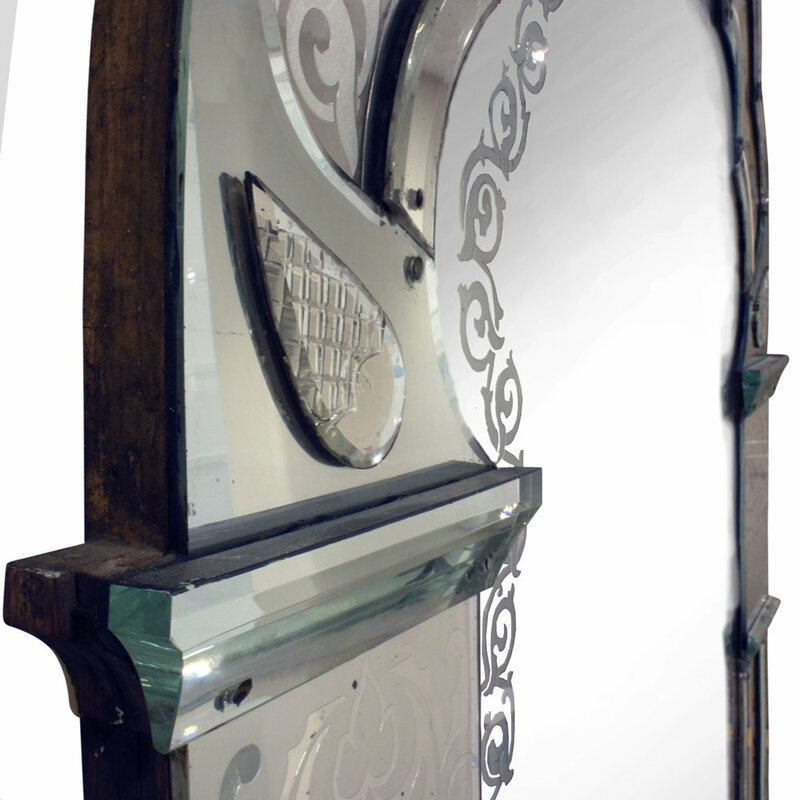 This mirror is impressive and is meticulously crafted. 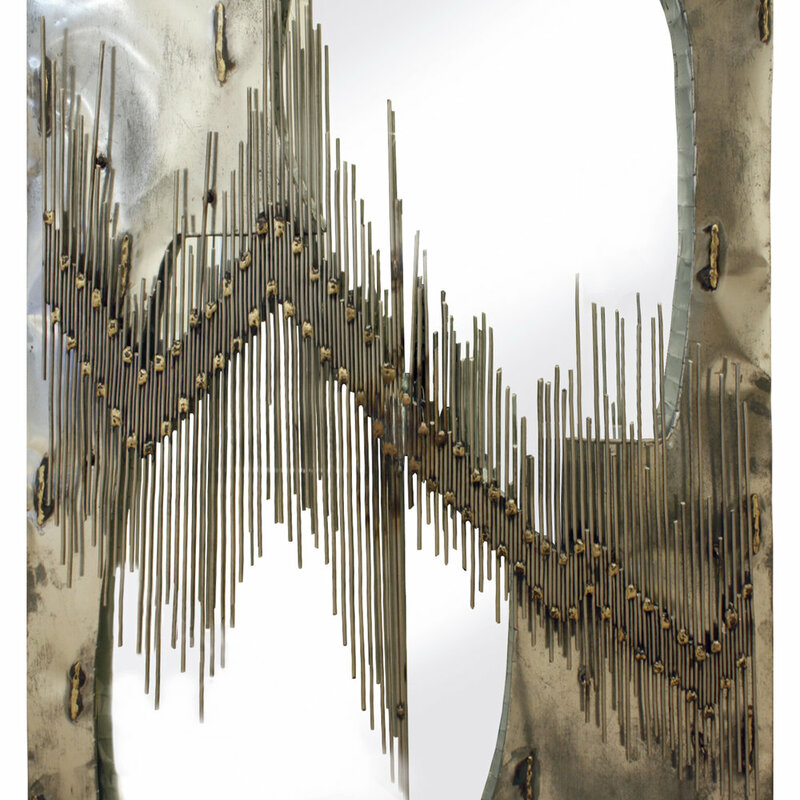 Wall hanging mirror with concentrically beveled bronze glass around a beveled mirror by Sally Sirkin Lewis for J Robert Scott, American 1980's. 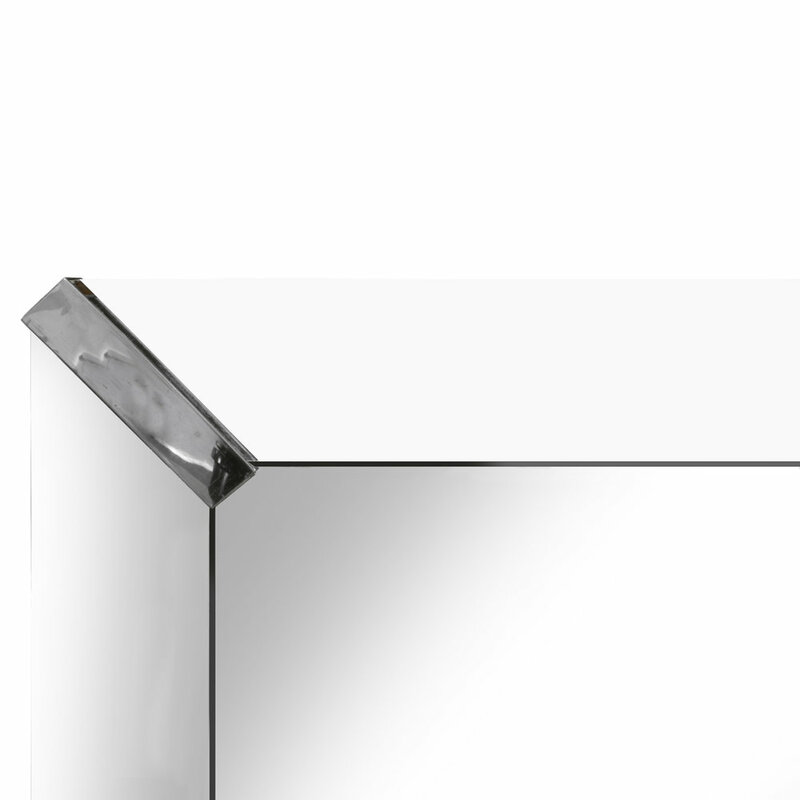 This mirror is very chic and meticulously crafted. Wall hanging mirror with concentrically beveled peach glass around a beveled mirror by Sally Sirkin Lewis for J Robert Scott, American 1980's. 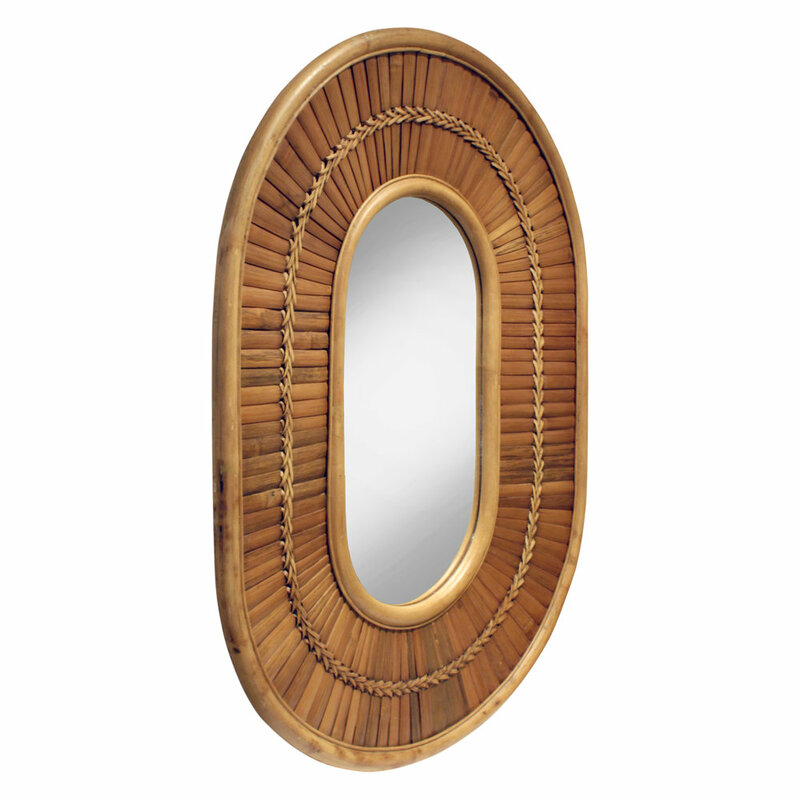 This mirror is very chic and meticulously crafted. 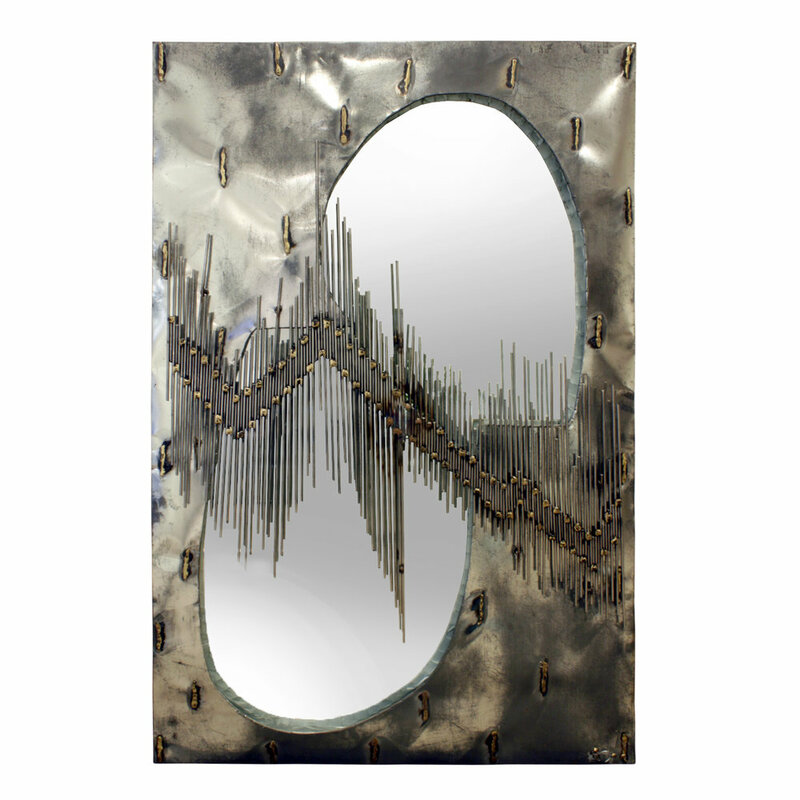 "Saturn Mirror" with beveled mirrored glass panels by Karl Springer, American 1980's. This mirror is very impressive. 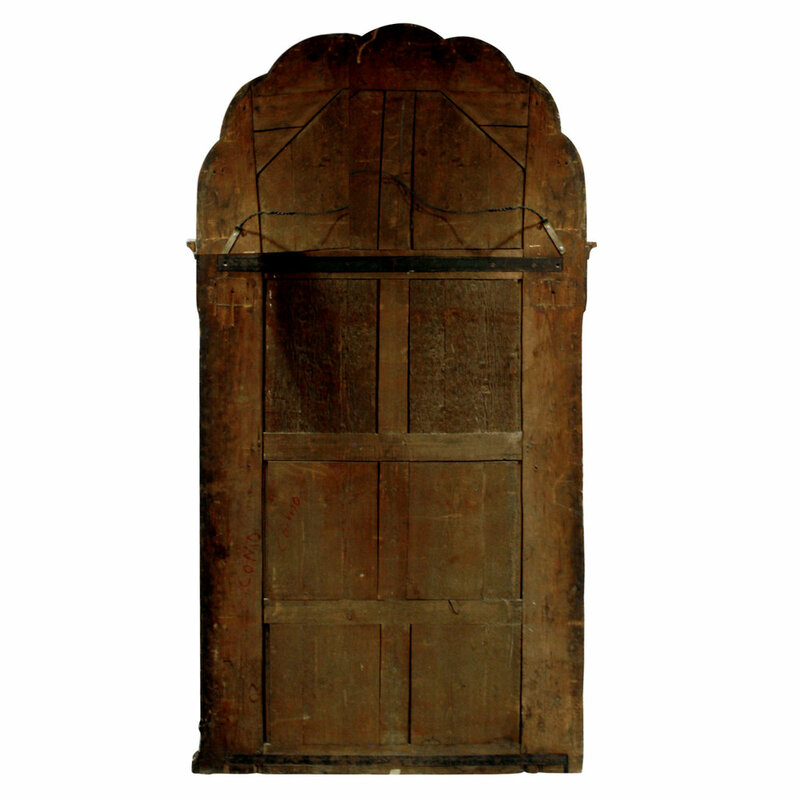 Monumental wall hanging mirror with etched and colored reverse design, Venice 19th century. 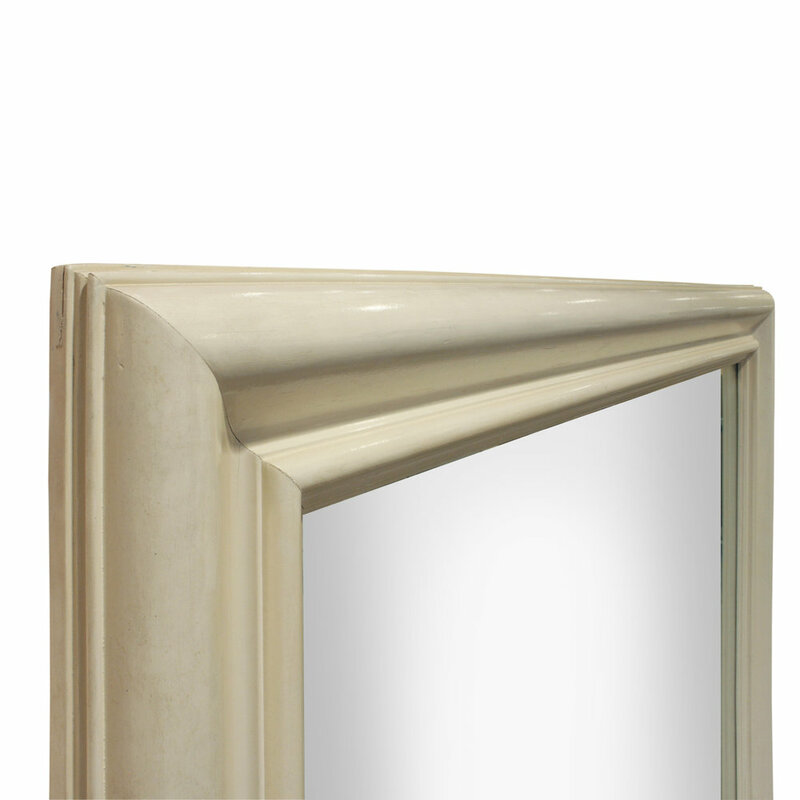 Large wall hanging molding mirror in ivory lacquer, custom design, American 1970's. This mirror is beautifully crafted. Wall hanging mirror, rectangular with chrome accents in corners, American 1940's. 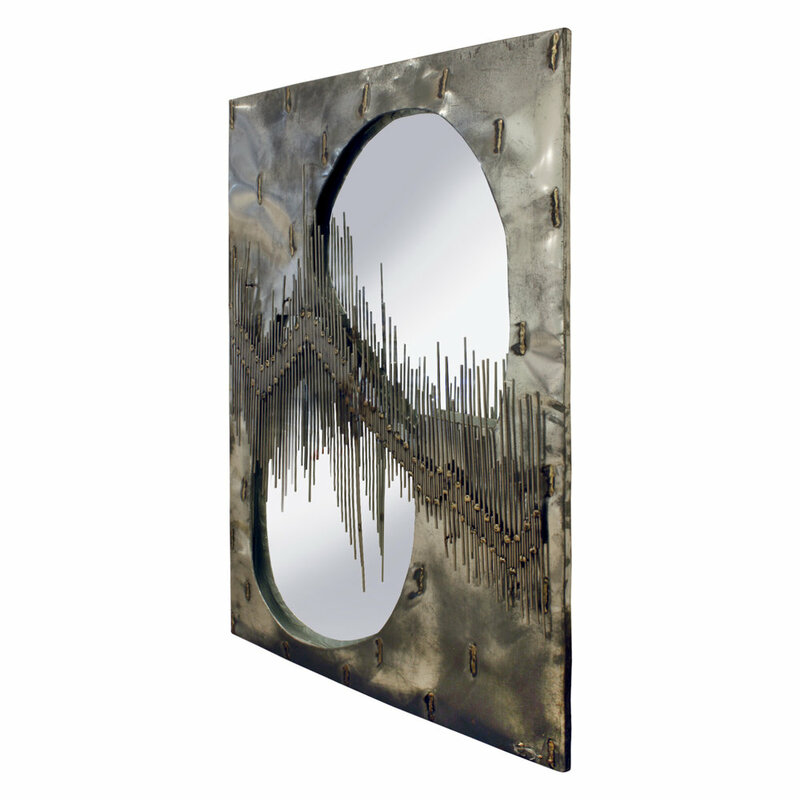 Brutalist style artisan mirror in chrome and brass with welded rods on front, American 1970's (artists initials on lower right). 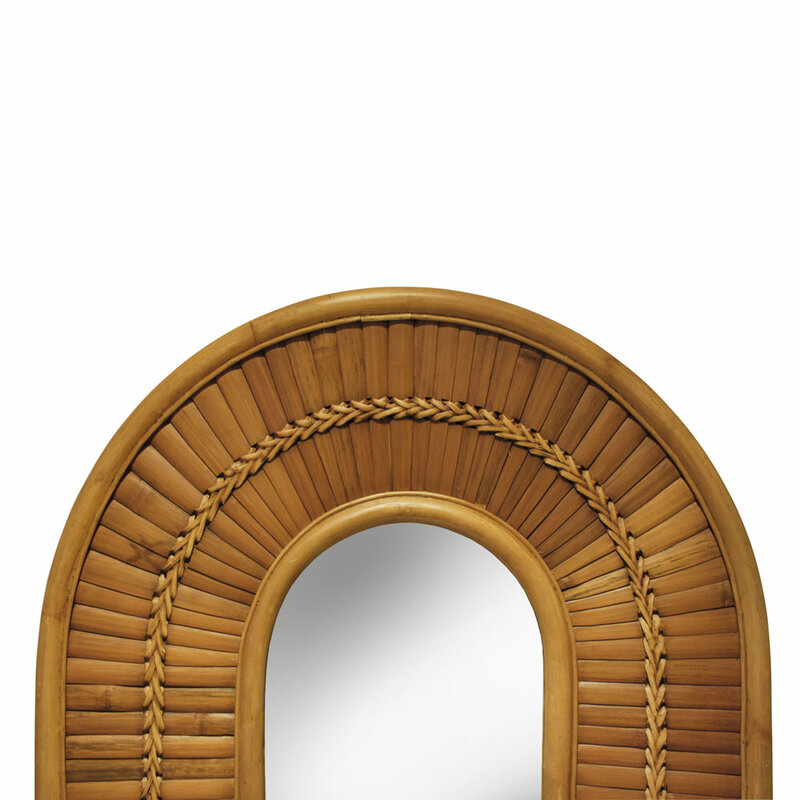 Artisan racetrack mirror in bamboo and woven rattan, American 1970's. This is a beautiful hand-made mirror. 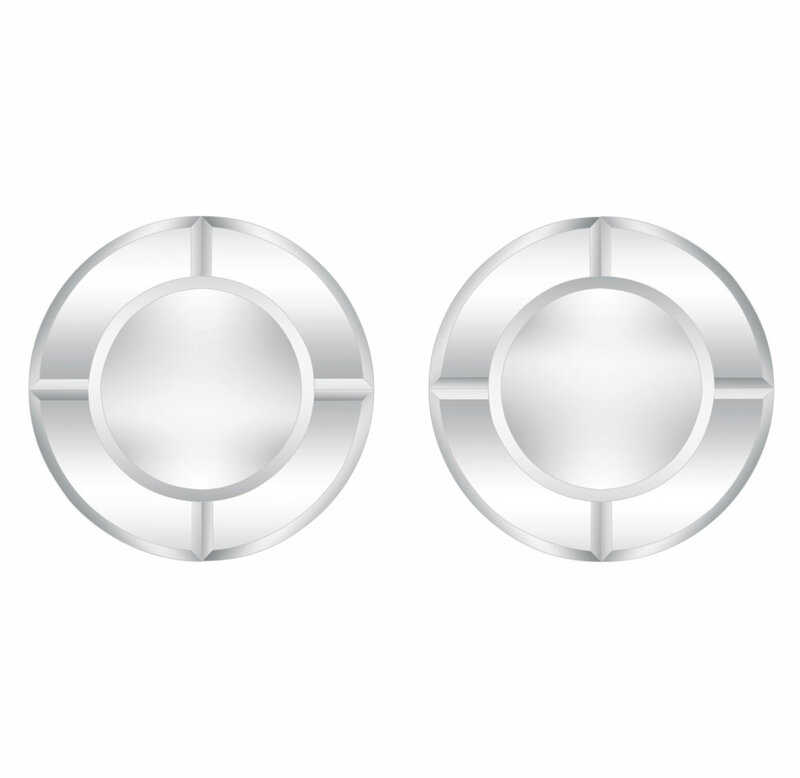 Pair of "Saturn Mirrors" with large curved mirrored panels with beveled edges by Karl Springer, American 1980's. These are a matched pair. 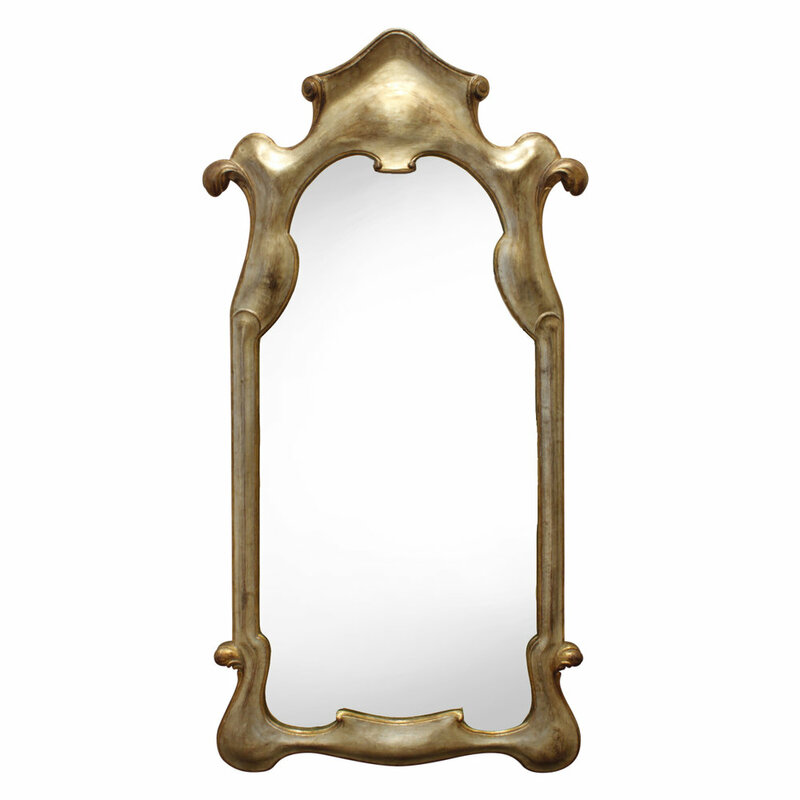 Wall hanging mirror in plaster with pale gold lacquer finish, Italian 1940's. The form and coloration of this mirror are really beautiful. 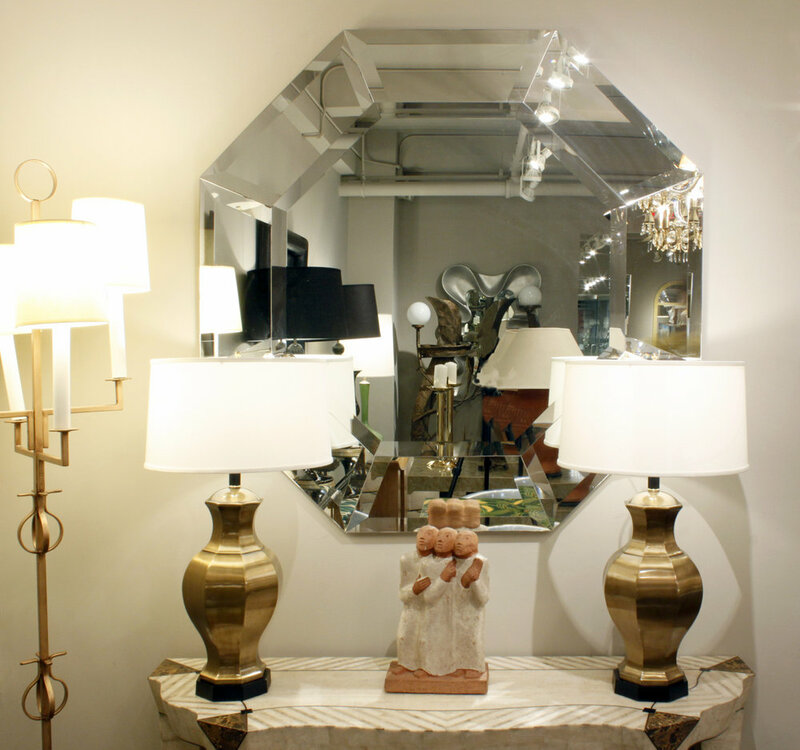 Exceptional and meticulously crafted illuminating vanity mirror in polished steel and gold lacquered brass with magnifier by Karl Springer, American 1980's. This large vanity mirror is very impressive. 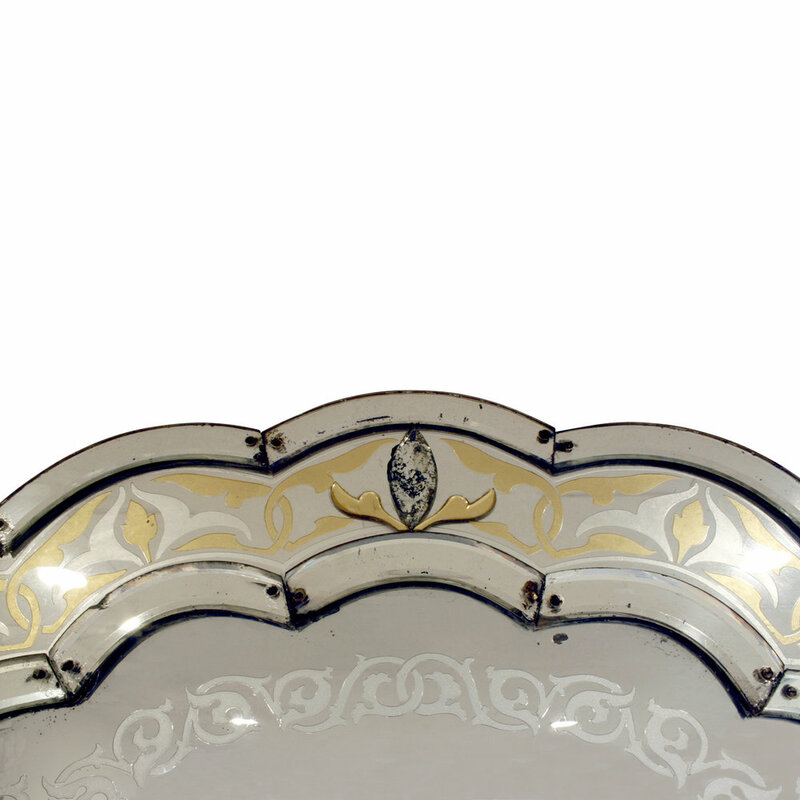 Large "Dome Top Art Deco Mirror" in gold leather by Karl Springer, American 1991. Leather label on back reads "Karl Springer 1991".